When it comes to veterinary orthopedics you can trust Dr. Charles Whitworth at the Whitworth Animal Clinic in Madison with such a vital area of your pet’s health. It goes without saying that your animal’s bone and joint health are essential to their well-being. A once happy, playful, and frisky pet can become miserable and inactive because of bone and joint problems. Orthopedics refers to the treatment of bones, joints, and other supporting structures of the body. The musculoskeletal system can degenerate over time due to wear and tear. Other common injuries include bone fractures, arthritis, ruptured ligaments, and joint cartilage deterioration and disturbances. Animals can also experience developmental issues such as limb deformities and hip dysplasia. As people age, orthopedic care becomes more important since bones and joints become more fragile and susceptible to injury. A single misplaced step or overextended joint can result in injury. This is also true with animals. They also experience less mobility and quality of life over time due to orthopedic problems. Aside from age, animals can also experience bone and joint issues due to birth defects. Limb deformities can put a strain on the musculoskeletal system and may require long-term treatment. Animals also experience injuries such as broken bones and injured joints. When people experience such problems, they go to a trusted healthcare professional for help. Fortunately, pet owners in the Madison area have Whitworth Animal Clinic to rely on. Whitworth Animal Clinic treats orthopedic cases with care, precision, and compassion. Our clinic treats veterinary orthopedics cases after carefully diagnosing the issue. We write referrals for surgery and rehabilitation to trusted providers who care about your furry friends as much as you do. Our staff is trained to help animals on a case by case basis so you can be sure that you and your animal companion will get the attention and care you both need. You can trust us with the orthopedic needs of your companion animals. Our staff is helpful, friendly, and willing to answer your questions and address any concerns you may have about your animal’s care. 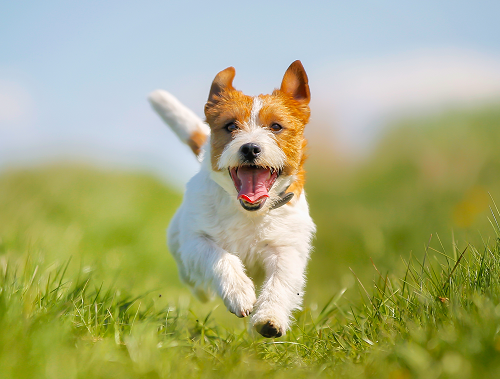 If your pet needs orthopedic care, call to make an appointment at our Madison location.